You don't just eat pizza, you're eating apples too. I don't simply refuse a friend's offer for a treat. When it's a treat, it's free; then why refuse? We were treated by an old office friend to Yellow Cab in the last week of March. For a Filipino like me, who use to eat pancit bato instead of spaghetti and sweet potato instead of pizza; I find it always new to eat something that I don't swallow everyday. Although the Biano's Pizza in Mindanao is still the best for me, I liked the new taste in Yellow Cab. 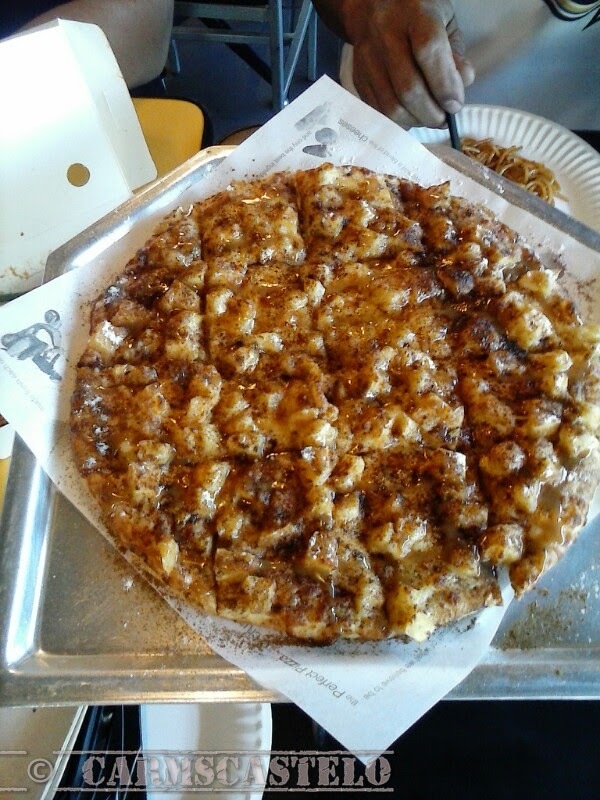 I didn't knew when was it first introduced but I still liked the pizza considering that it's apple-based. 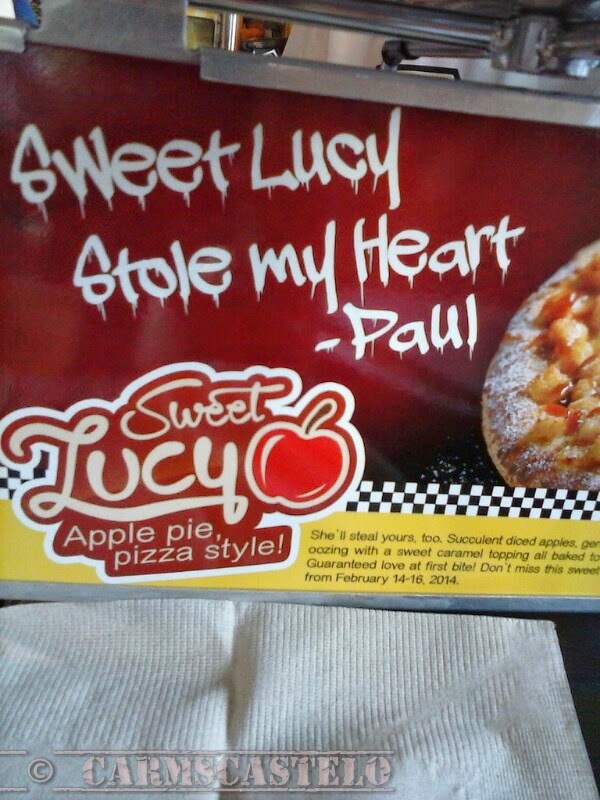 I am referring to the Sweet Lucy apple pie pizza style. While thinking you are eating several calories of pizza, you are confident you are eating apples too.